The Crook family from Bay Minette can sing some gospel! Here’s a video from three years ago of them singing for Steve Harvey on Family Fued and they slay it! Skip to about a minute into the video to check it out. 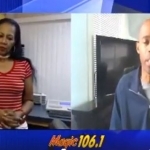 Rumor has it that Steve has mis-pronounced “Bay-Minette” on TV before but I can’t find the clip. If you find one online please let me know! CLICK HERE to watch Sonshine’s conversation with Johnny Gill. CLICK HERE to watch Sonshine’s conversation with Dr. Ian. 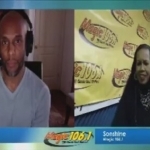 CLICK HERE to watch Sonshine’s interview with Kenny Lattimore.